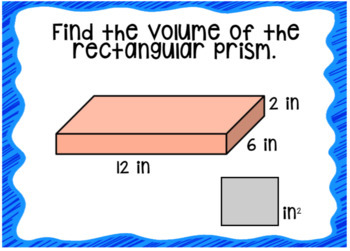 Looking for a fun way to practice finding volume of a rectangular prism? 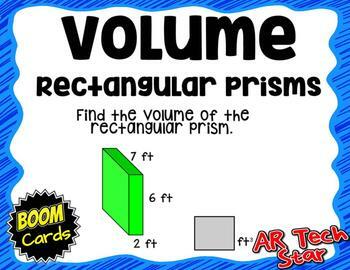 Engage your students with this set of 10 Boom Cards. 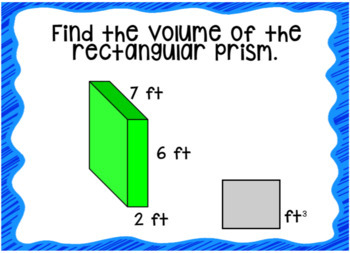 Students will calculate the volume of a variety of rectangular prisms, type the answer in a box, and get immediate feedback. 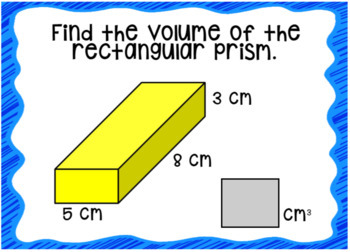 This is a great way to check for understanding. This set can be used independently, in centers, for interventions, or project it on to the board to use with whole group.